Pratt & Whitney has taken its successful PW4000 100-inch engine for the Airbus A330 to new heights with the introduction of the PW4170 Advantage70™ program. The Advantage70 is offered as a new engine and as an upgrade kit for existing engines. Advantage70 technology delivers superior engine performance, including a 2 percent thrust increase, more than 1 percent reduction in fuel consumption, increased durability, and reduced maintenance costs. 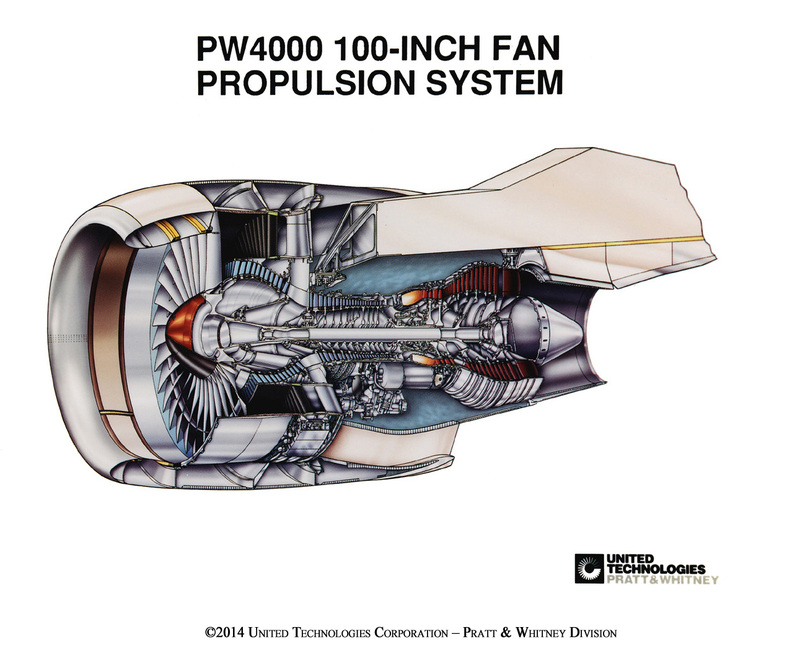 Developed specifically for the Airbus A330 twinjet and introduced in 1994, the PW4000 100-inch fan engine has thrust capability from 64,500 to 70,000 pounds at take-off. The engine was the first in aviation history to qualify for Extended-range Twin-engine Operations (ETOPS) prior to entering service. It is now approved for 180-minute ETOPS. Pratt & Whitney supplies A330 customers the entire propulsion system - engine, nacelle, thrust reverser and accessories. This, along with superb service reliability, excellent performance retention and low cost of ownership, make the PW4000 100-inch engine an outstanding value.